The brochure also includes year-round cruises to the Caribbean on board Norwegian Escape and Norwegian Getaway from Miami, Norwegian Gems new Caribbean cruises from Puerto Ricos capital San Juan and sailings combining the Caribbean with a brief excursion into the Panama Canal on board Norwegian Pearl, as well as cruises in Hawaii (from/to Honolulu), South America, Alaska and Canada & New England. In summer 2016, four Norwegian ships will cruise in Europe. 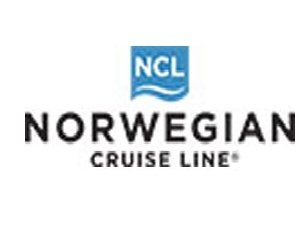 Continuing her 2015/16 itineraries, Norwegian Epic will cruise year-round from Barcelona and between April 17 and November 20, 2016 will offer 7-night cruises from Barcelona or Civitavecchia (Rome) to the Western Mediterranean, including stops in Naples (Pompeii), Livorno (Florence/Pisa), Cannes and Palma, Mallorca. During the winter season between November 27, 2016 and April 13, 2017, Norwegian Epic will sail alternate 10-night cruises to Morocco, the Canaries, Madeira and Málaga (Granada), and 11-night cruises to the Western Mediterranean including stops in Sardinia, Sicily and Mallorca. Norwegian Star will visit the Baltic capitals on May 8 and 24, on June 2 and between June 25 and September 5, 2016. The itinerarys highlights are a two-day stay in St. Petersburg and a passage of the Stockholm Archipelago. On June 11, 2016 Norwegian Star will sail from Copenhagen on a 14-night cruise to the North Cape. The most beautiful ports of Norway are part of this itinerary: Hellesylt/Geiranger, Ålesund, Trondheim, Lofoten, Tromsø, Hammerfest, Honningsvåg, Molde and Bergen. Those seeking to explore more of Northern Europe may combine this route with the subsequent 9-night cruise to the Baltic Capitals. On May 1 and 17, 2016, Norwegian Star will depart on two 7-night cruises towards the Norwegian Fjords with stops in Ålesund, Geiranger, Flåm and Bergen and on September 14, 2016 set sail for a 14-night cruise visiting Norway, the Faroe Islands, Iceland, Scotland and Ireland. On May 2, 2016 Norwegian Jade will start her summer season with a 5-night cruise from Barcelona to Venice, including stops in Mallorca and Malta. From May 7 to October 1, 2016 the ship will depart for alternate 7-night cruises to the Greek Islands and Croatia, Piraeus (Athens) and Kusadasi (Ephesus). Both itineraries can be combined to a 14-night cruise. Norwegian Spirit will sail 12-night cruises from May 7 to November 5, 2016. Guests may either start in Barcelona or Venice on a cruise that visits five different countries: Spain, France, Italy, Greece and Turkey. Eight of Norwegians worldwide itineraries %u2013 including year-long 7-night Caribbean cruises from Miami on board Norwegian Escape, the companys latest creation, and its little sister Norwegian Getaway %u2013 are also part of the Cruise Highlights Brochure. Norwegian Pearl will also sail from Miami to the Caribbean including a partial transit of the Panama Canal between November 2016 and April 2017, whilst Norwegian Gem will sail new itineraries from San Juan, Puerto Rico to the most beautiful Caribbean Islands. Pride of America will offer her unique year-round 7-night cruises from Honolulu around Hawai%u2019i%u2019s four main islands, whilst Norwegian Sun will again circle Cape Horn sailing between Valparaíso (Santiago de Chile) and Buenos Aires from November 2016 to March 2017. In summer 2016 Norwegian Cruise Line will have its traditional three ships cruising to Alaska. Norwegian Pearl and Norwegian Jewel will depart from Seattle on 7-night cruises between May and September, while Norwegian Sun will sail on 7-night cruises between Vancouver and Seward. The highlight on Norwegian Dawn%u2019s 7-night cruises between Boston and Quebec City in September 2016 is the colourful Indian summer.